Before you commit to a fencing investment and begin the installation process, you should make sure you know everything you need to know. Fencing will protect your landscaping, your property, and your family. A well-maintained fence will boost your property value and add to your curb appeal. Before you commit to a fencing investment and begin the installation process, you should make sure you know everything you need to know. Here are a couple of the things you should keep in mind before you decide on a fence. First, you should look at exactly why you want a fence. What purpose will that fence serve on your property? Do you want to keep your children or pets in your yard? Are you trying to block out noisy or nosey neighbors? You probably have multiple reasons for wanting to install a fence. Write them all down. Keep that list with you while you are shopping for fencing. There are many, many fencing options you can choose from. 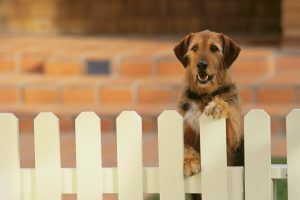 Chances are, the sales person will have a much better idea of what options to show you if you give them a list of things you’d like the fence to accomplish. For residential properties, wood fencing and vinyl fencing tend to be the most popular. Vinyl comes in a variety of colors and requires virtually no maintenance. Wood fences need some maintenance, but their warm, classic appearance is unparalleled. Other fencing materials include aluminum, steel, and wrought iron. Be sure to explore all of the materials available before deciding on a fence. When preparing to install a new fence, it’s good to know exactly where your property lines are. If you live in a community that has a community association, you should look up the rules on fencing. Many community associations have rules about how far a fence is from the sidewalk, how tall it is, and what it’s made of. You should also make sure you don’t need to obtain a building permit. Not all counties require them, but some do. Make sure all permits are properly filed before installing your new fence. This entry was posted on Friday, July 14th, 2017 at 9:33 am. Both comments and pings are currently closed.